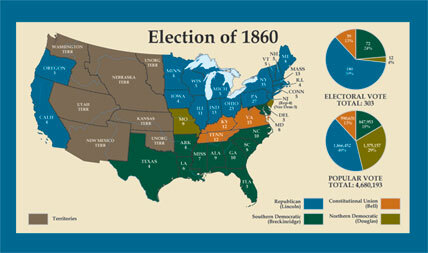 In 1860 the Democratic Party split over the issue of slavery. 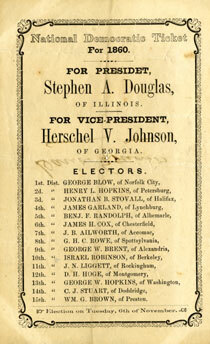 Northern Democrats nominated Stephen Douglas for president. 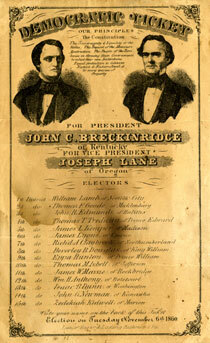 His platform called for residents of each territory to decide whether to permit slavery. 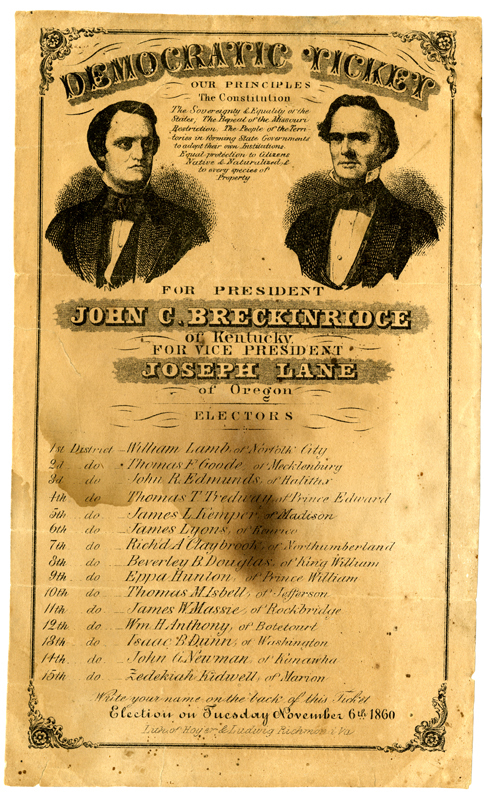 Southern Democrats nominated John C. Breckinridge and called for slavery’s expansion into the West. 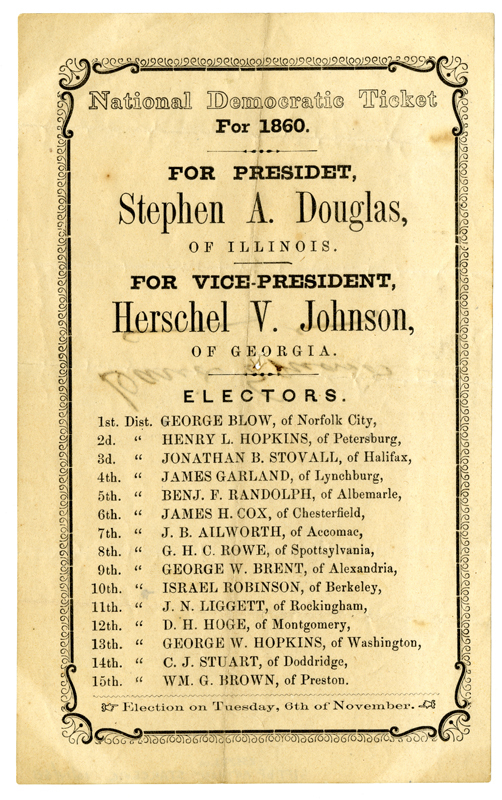 Members of the new Constitutional Party tried to avoid taking any controversial positions, and simply promised to maintain the Constitution, the Union, and the laws. 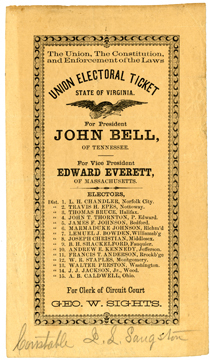 Their nominee was John Bell. Lincoln, the Republican candidate, won the election by carrying the North, but received less than 40 percent of the national popular vote. "Yesterday, November the 7th, will long be a memorable day in Charleston. The tea has been thrown overboard—the revolution of 1860 has been initiated."